A man who's been living on the banks of the River Severn in a straw house he built himself has been told he must leave. How would your hair look after swimming 220 miles down a muddy river? 32-year-old Kevin Brady from Gloucester has had a pretty tough few weeks. In a charity mission to swim the length of the River Severn, he's had to battle hypothermic water, sharp debris, treacherous undercurrents, parasites, pollution and large boat traffic. We caught up with him in the studio to hear about his motivation, the moment he finally crossed the finish line, and the answer to that all important question - after weeks in the river, has he washed his hair yet? Want to see 'The Severn Swimmer' make history tonight? The man hoping to make history by swimming the entire 220-mile length of the River Severn is expected to finish his challenge tonight - and we'll be there to see him get to the finish line. 32-year-old Kevin Brady from Gloucester has had to battle hypothermic water, sharp debris, treacherous undercurrents, parasites, pollution and large boat traffic as he swims more than 10 miles a day. Tune in to ITV News West Country from 6pm to see the astonishing moment he does it! Kevin has already raised over £10,000 for the Superhero Foundation, a charity he co-founded with cousin and fellow fundraising adventurer Jamie McDonald. The charity assists families that need funds to access otherwise inaccessible treatments for mental or physical illness. Adventurer Kevin Brady is expected to make history today as the first person to swim the entire 220 mile length of the River Severn. That's the equivalent of ten English Channel swims. The 32 year-old from Gloucester, has had to battle hypothermic water, sharp debris, treacherous undercurrents, parasites, pollution and large boat traffic as he completes more than 10 miles a day. Today marks a month since he started the challenge. Kevin has already raised over £10,000 for the Superhero Foundation, a charity Kevin co-founded with cousin and fellow fundraising adventurer Jamie McDonald. The charity assists families that need funds to access otherwise inaccessible treatments for mental or physical illness. A man from Gloucester swimming the length of the River Severn for charity is nearing the finishing line. Kevin Brady reached Sharpness yesterday. The 220 mile challenge from the river's source in mid Wales to Severn Beach is the equivalent of ten English Channel swims. The co-founder of the Superhero Foundation set off on the 23rd of September. If the 32-year-old, who's from Gloucester, completes the challenge, he'll make history by being the first person to finish such an adventure. A fundraiser from Gloucester who hopes to become the first person to swim the entire length of the River Severn, begins his challenge today. Co-founder of the Superhero Foundation, Kevin Brady, is expected to take at least three weeks to complete the challenge, which will see him swim the longest river in the UK. Work has finally begun to restore the Severn Princess car ferry, which used to take vehicles across the Severn estuary. It went out of business with the opening of the Severn bridge in 1966. It will form the main attraction at a heritage centre in the shadow of the bridge in Chepstow. 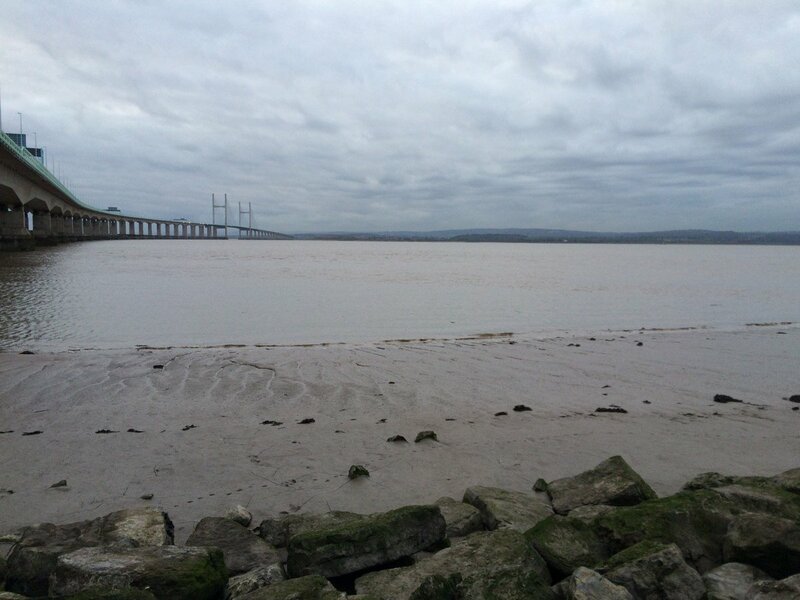 A body has been recovered from the Severn Estuary at St Pierre Pill near Chepstow. A search and rescue operation had been launched after a man was reported missing from a yacht in the area. Coastguards as well as one lifeboat and two land teams from the Severn Area Rescue Association were involved in trying to find the missing person. The search has since been called off.